BOOK OF THE MONTH FOR NOVEMBER 2017. 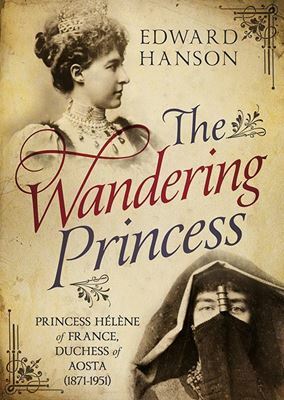 Hélène was a strong-willed princess, raised in France but closely connected with the court of Queen Victoria. After the premature end to a romance with the monarch’s grandson, she married into the royal family of Italy. However, escaping from an unhappy marriage and the boredom of court life, Hélène began extended trips into Africa, where she became a big game hunter, explorer and travel writer. Travels took her around the world, but her sense of royal duty brought her back to nurse aboard a hospital ship in Libyan waters, then to an important role as head of the Italian Red Cross nurses during the First World War while her husband headed Italy’s Third Army. One son served in the Artillery while the other was in the Navy. Afterwards, her strong Italian nationalism made her an ally to Gabriele d’Annunzio and Benito Mussolini, but the disastrous Second World War saw her grandchildren interned in Austria and her older son die as a British prisoner of war while she continued her charitable work in Naples. When the country voted to become a republic in 1946, Hélène was the only member of the royal family allowed to remain in Italy with her second ‘secret’ husband.